Find Transcend products online and buy from the best online shops in New Zealand. Memory...that word has shifted in its meaning over the past few decades and can now mean far more than just one thing. Human memory is, naturally, the first definition, but what about computer memory, flash memory, USB drives, and so on? As quickly as our understanding of the word memory changes, new meanings might take shape. 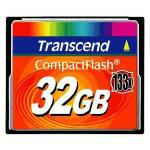 This is why the firm known as Transcend rates so highly in the world of memory products. Currently rated third behind SanDisk and Kingston, the Taiwan-based firm has an impressive array of top quality products. Unlike the competition, Transcend is also deeply committed to meeting changing needs and is consistently developing new items in order to fulfill gaps in the market. This is not unlike the very first products the firm created in the late 1980s. It was in 1988 that the company founder Peter Shu created the firm's first marketable products. Interestingly enough, they were not related to memory but were instead a laser printer driver and a software protection system. However, within a year the company began to develop memory for laser printers. Within any grouping are many options and products. As indicated, the company has more than two thousand items available at any time. Some of their latest innovations include memory suitable for professional cinematography and expansion cards capable of expanding storage capacity of Mac computers, among many others. Of course, what makes Transcend so singular is that they do not limit their activities to identifying and creating solutions for system-specific needs and helping to organize digital material. While remaining one of the top three brands in digital storage actively designing, developing and producing their own goods, they also take on the responsibility of marketing and selling their wares too. In this way, their leadership believes they can remain a customer-focused company capable of responding rapidly to any changing needs or trends in the digital marketplace. Clearly, they are not ready to sit on their laurels and just meet the basic market demands. However, this is exactly their company vision - to look ahead and be ready to supply the market with its digital needs. Based in Taipei, Taiwan, the firm maintains a presence in fourteen different locations around the globe, including the UK, the Netherlands, Germany, China, Korea, the U.S., and Japan. They ensure "optimum product supply" by manufacturing exclusively in Taiwan and Shanghai. * Controlling environmental impact across product life cycles (from raw material to end of life). This is achieved through the use of proprietary technologies that Transcend has designed for these specific purposes. They include low profile PCB, energy saving DDR3 memory, hazardous substance free, and reduced packaging. Forward thinking, customer focused, and remarkably progressive...it is little wonder that Transcend ranks so highly in its industry. Needed this for extra storage capability on my Canon EOS camera, and found it to be great value and good performance!